When workplace injuries happen, it’s important that your employees heal safely before they return to work in a timely manner. So when it comes to choosing a provider for your company, it’s extremely helpful to select an occupational medicine provider to address all of your concerns throughout the work comp process. Here are three ways you and your employees will benefit from working with an occupational medicine provider. They understand how to prevent work injuries before they happen. In order to create a safer workplace, it’s important that both you and your employees take preventative measures to reduce the risk of injury. A provider trained in occupational medicine not only understands how to diagnose and treat work injuries, but they can help you take preventive measures to reduce the risks of work injuries (and avoid costly work comp claims down the road). They’ll help you manage the entire work comp process from start to finish. From obtaining treatment to developing a return-to-work plan, the work comp process consists of many steps. Throughout it all, it’s helpful to have a provider who understands how to facilitate communications between the employer, employee and all stakeholders involved. They’re experts in developing active recovery plans. Occupational medicine providers are experts in ensuring your employees return to work in a safe and timely manner. Not only are they trained to treat physical injuries, they also take the time to understand the psychological implications and stress associated with work injuries. So when it comes to developing a recovery plan, they’re not just treating pain – they’re able to answer questions and concerns for your employees upon return to work. 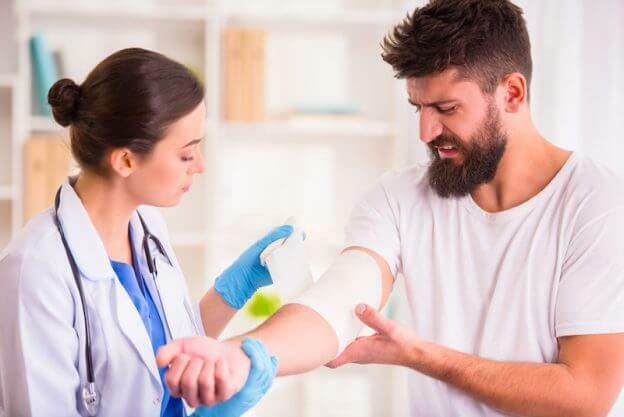 At Advanced Urgent Care & Occupational Medicine, we strive to provide exceptional medicine treatment for any injuries that occur in the workplace. Get to know our medical providers and learn more about our occupational medicine services.